Four new Opuses: This year at Basel, Robert Greubel and Stephen Forsey are delighted to present four new variations of their leading creations. 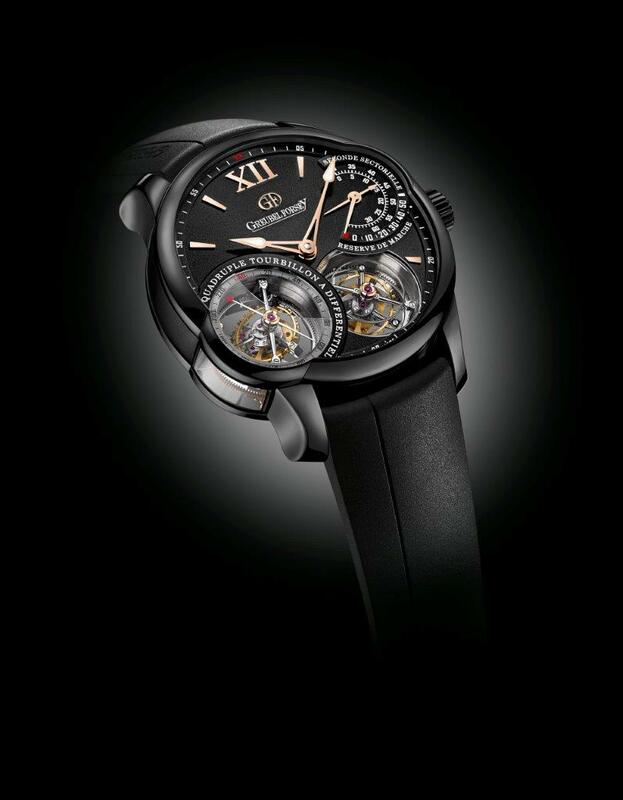 For this timepiece Greubel Forsey pushes the limits of Applied Art by presenting, for the first time ever, a black-polished dial. This hand-made finish of polished perfection has on this occasion been applied to an unusually large surface, covering the entire surface of the dial. When reflecting direct light we see a blue of a depth. This technical challenge involved calling into question conventional methods to find solutions that could give rise to such an extraordinary result. This timepiece that showcases the second Fundamental Invention is today presented with a case made of titanium, a material that reduces the weight of the timepiece and thus ensures greater comfort. Entirely covered with a black ADLC treatment that makes it more resistant to scratches, this timepiece has a powerful visual impact from the very first glance. For this Timepiece, Greubel Forsey presents a rare view of the barrel-polished tourbillon cage, showing this minuscule piece as a paragon of meticulous work with no hint of even the slightest imperfection. 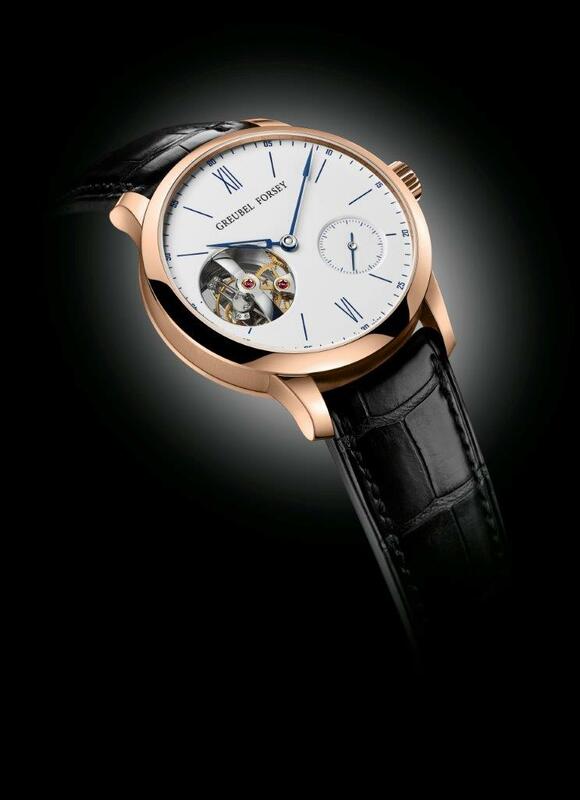 For this timepiece, Greubel Forsey presents, for the first time ever, a Grand Feu enamel dial. A hand-made model of skillful craftsmanship, and the product of a delicate treatment that enhances its immaculate whiteness, the dial envelopes the whole timepiece in a magnificent aura of luminosity. In addition, the barrel-polishing of the three-dimensional surfaces of the tourbillon’s arched bridges is taken to the very limit, revealing the famous black polish. 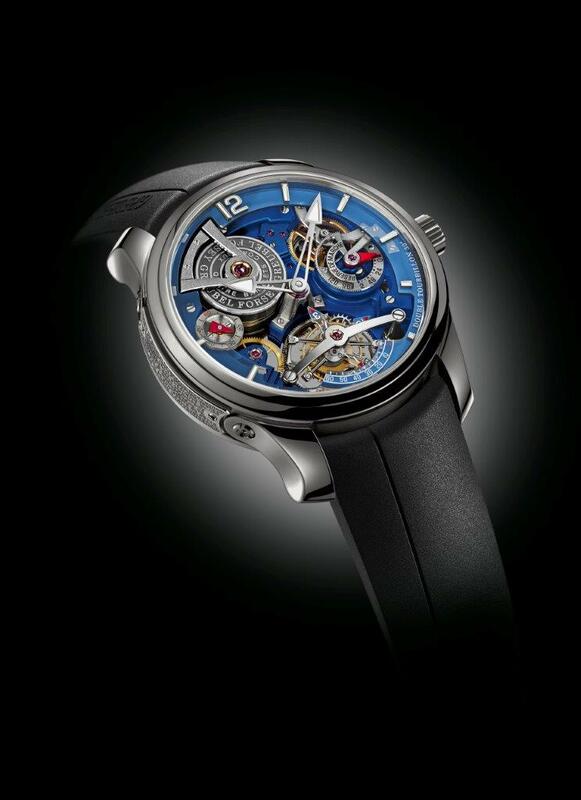 The sapphire dome on the back of the timepiece captures luminosity and channels it into the interior, allowing the tourbillon to be viewed through a veritable stream of light. 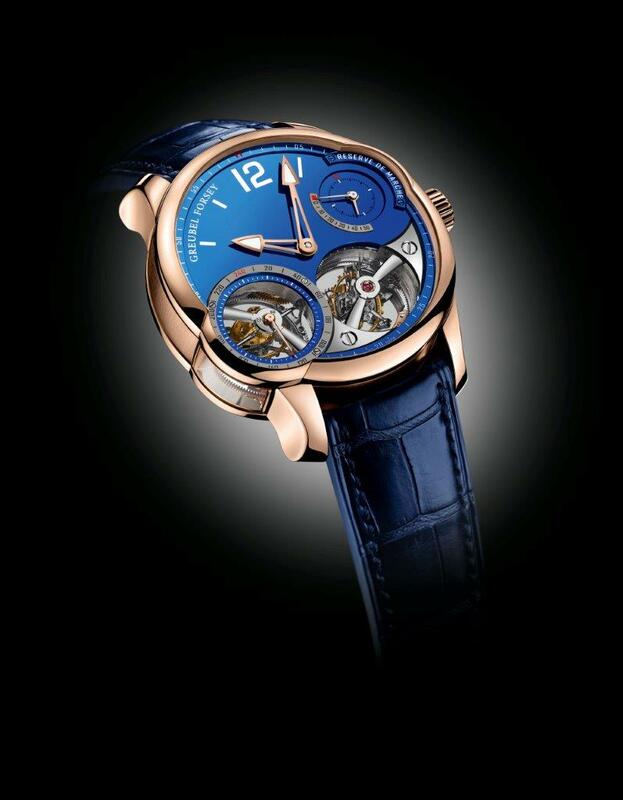 Technically, the Tourbillon 24 Secondes Vision Enamel uses a fast rotation speed and inclined angle to solve the problem of the critical positions of the oscillator in relation to gravity. The 25° angle and the rapid revolution of the tourbillon cage significantly improve the chronometric performance of a system containing only one tourbillon, especially in stable positions. Robert Greubel and Stephen Forsey have created a magnificently transparent timepiece where each and every element is enhanced and displayed without overshadowing others. The famous Double Tourbillon 30°, accompanied by four coaxial barrels, provides a chronometric power reserve of 120 hours. It contains an innovative spherical differential system for the power reserve display. This timepiece is a perfect illustration of movement architecture, with watchmaking craftsmanship and decorative arts working together in perfect harmony.